Mix the cream cheese, soured cream and taco seasoning, in a small bowl, until combined. Stir in the sweetcorn, black beans, coriander, tomato and salsa. Spread the cream cheese mixture over each tortilla, to the edges. Roll up each and trim the tapered ends. 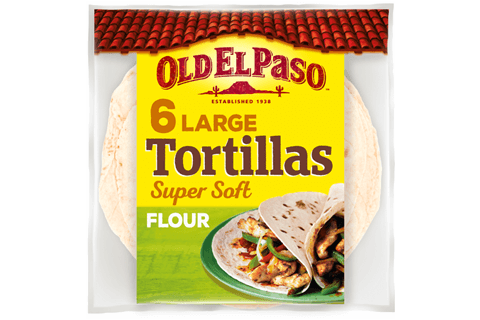 Wrap each tortilla roll in cling film and chill in the refrigertor for at least 1 hour but no longer than 8 hours, before serving. To serve, cut each roll into 2-3cm slices. Use a flavoured cream cheese, such as garlic and herb or chive, to get a flavor boost. 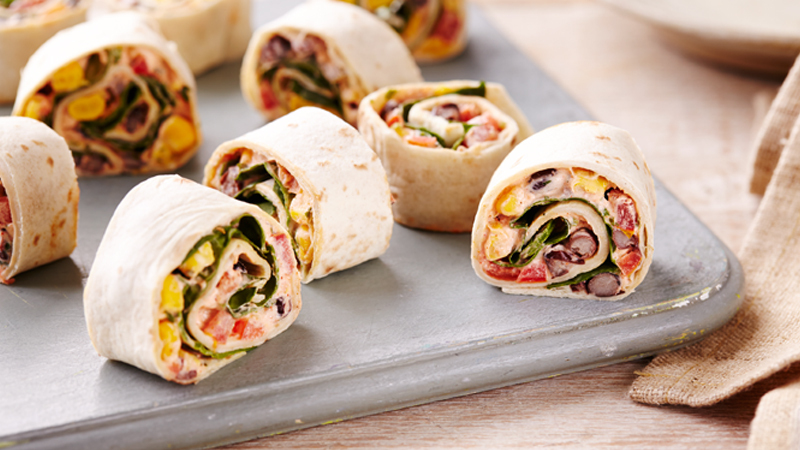 Wrap up with spinach leaves for an extra veggie hit.